Each of these inductees to the Hall of Fame was selected in recognition of their lifetime of achievement at the highest level, to both ASP and the strategic planning profession. Randy has consistently stepped up to the mark to support ASP over the many years he has been involved. He is a Founder and the President of ASP Chicago where he helped manage programming and partnerships. Through his efforts, he helped grow ASP Chicago to one of our strongest Chapters. In addition, he has been a strong supporter of ASP’s Certification Program and he is a Certification Pioneer. Most recently, Randy was the Co-Chair the 2018 Annual Conference. Randy is extremely reliable, easy to contact and definitely a great resource to the association and his peers. Tim has stepped up to support ASP over many years. As President for two years during a period of huge change, he stabilized ASP's finances at a critical time. He fostered a highly successful conference in Chicago and assured the certification development effort succeeded. As a Past President, he has continued to provide counsel and support for ASP’s leaders and has chaired and participated in committees. The late Janice Laureen, one of ASP's founders, served as the organization's Executive Director for ten years. She singlehandedly conducted membership campaigns for both individual and corporate members and had a hand in virtually every committee, project and initiative that ASP has undertaken since the beginning. She had a long record of service to the strategic planning profession, serving as President of the Planning Forum in Toronto, and as an active member of the Strategic Leadership Forum in Los Angeles. Her consulting firm served a variety of clients over the years as well. She was the one person known to every member of ASP, and has often been called "The Face of ASP". 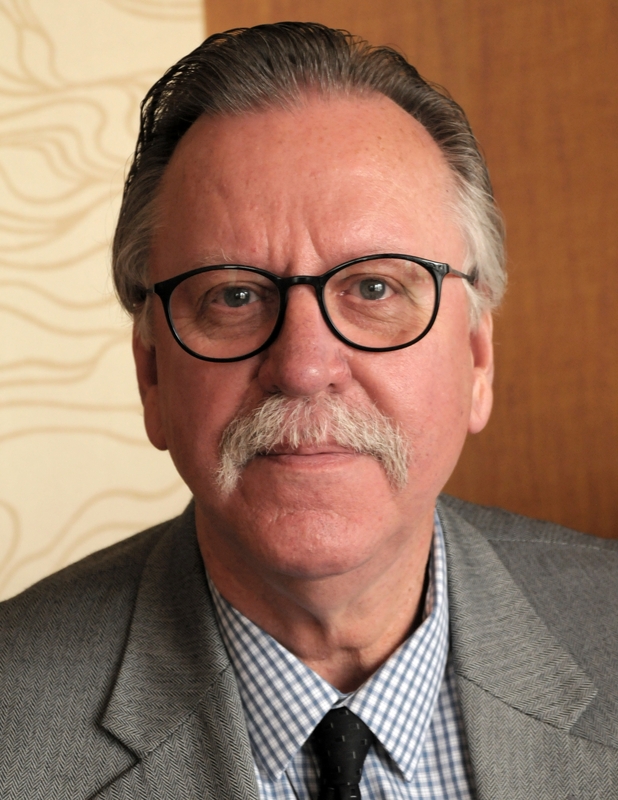 Alan Leeds is one of the longest serving national board members in the history of ASP, with nearly ten years of service, and is one of the original 25 Pioneers who received the first Certified Strategic Management Professional designations. He started several Centers of Excellence task forces, heads up ASP efforts to develop strategic alliances with appropriate organizations, serves on the certification group that evaluates new candidates, and is working on the revitalization of the ASP internal strategic planning process. He was instrumental in founding ASP's first community of practice, and co-founded the NorCal Chapter, serving as its co-president for five years. He is also a thought leader in the strategic planning and strategy community, producing high quality software tools for planners across the country. Jim Wilson was a key figure in the effort to get the ASP national conference established as an annual event. He chaired or co-chaired the conference five times and has served as an advisor to those who have followed him in the chair's role. He served for many years on the ASP national board and was active in the Los Angeles Chapter before it was a chapter. During ASP's leanest years, he was asked by President Tim Trotter to lead a committee of past and present ASP leaders to develop sustainable revenue opportunities to strengthen the financial viability of the organization. One of the original 25 Pioneers who received the first Certified Strategic Management Professional designations, he is a thought leader in the profession as the head of the Claremont Strategy Center. The late Dr. Richard Goodman was an expert in organization strategy and innovation and professor of management at the UCLA Anderson School of Management. He died of cancer in 2004, and had served on the UCLA faculty for 37 years. His vision was for an award to be given every year at ASP's annual conference to those that are approaching strategic planning in a way that directly increases the organization's performance. Dr. Goodman's intention was to contribute to strengthening the importance and performance of strategic planning in firms. In addition to his significant contributions to business, he was an author and presenter at many conferences and symposiums. He proudly served as a Board Member of ASP and was instrumental in helping to craft the organization's future strategy. The late Steve Haines was the founder and sparkplug for the San Diego chapter from its inception to the present day. He was involved in almost every aspect of chapter activity, from recruiting to programming to leadership. It's safe to say that there would be no San Diego chapter without Steve's support and involvement. He was also been an active member of the ASP Board for many years and served as its Vice President. During this period, Steve was instrumental in establishing the certification process, which he championed since day one, including establishing a governance structure, lining up professional support, developing a Body of Knowledge and creating an administration process. He earned the distinction of being a Strategic Management Professional Pioneer. He was also been instrumental in many other key ASP initiatives, including the establishment of an International Affiliates program, developing ASP's membership benefits brochure, helping ensure ASP financial stability through difficult times, and mentoring the development of several new chapters and their leaders. Throughout his service, Steve was been instrumental in strategic planning for the Association, and has contributed significantly to ASP's ability to be an exemplar of sound strategic planning. He has been a global leader in developing and promulgating the systems approach to strategic planning and management. Seena Sharp is a well-known thought leader and author in the strategic planning profession, specifically in the area of competitive intelligence. Leading business publisher John Wiley actually approached Seena and asked her to write the definitive book on competitive intelligence . . . something that doesn't happen if you are not already considered a leader in the field. Given the close ties between competitive intelligence and strategic planning, we are fortunate to count Seena among ASP's longest-serving and most committed members. Seena is a long-standing member of ASP and was involved almost from the inception of ASP. She recruited leading thinkers and speakers to address a wide range of strategy topics, for both local meetings and annual conferences. As an early board member of the ASP in Los Angeles,Stan Rosen was instrumental in organizing the activities and affairs of the fledgling organization, including programming, membership, early conferences, marketing, web site, and structuring the board. As ASP Vice President, Stan initiated ASP's awards program, Advisory Council, and the Corporate Member program. He led ASP strategic planning activities that set the direction for the Association, including drafting the model chapter constitution and developing an online Chapter Handbook. Stan served on the Conference Committee, helped develop ASP's initial marketing and branding, served on the Nominations Committee and Awards Committee, and worked on several task forces regarding the Certification Program. During his two-year service as ASP President, ASP grew significantly, developed new chapters, expanded the Annual Conference and moved it out of Los Angeles, conducted a program of original research, and initiated the Certification program. As ASP Past President, Stan started and served on the Governance Committee and helped develop the ASP Conflict of Interest policy. He also helped start the Community of Practice for non-profit strategic planning. Stan is a Strategic Management Professional Pioneer and has led strategic planning activities for over 30 years for government, corporate and non-profit organizations, as a practitioner, executive, consultant, educator, and researcher, and has pioneered innovative approaches to strategic planning and management. Dr. Joyce Reynolds-Sinclair was an ASP Director-at-Large from 2003-2009, and Acting VP in 2008. As the founding co-President and Membership chair for the NorCal chapter, Joyce led the development of the first ASP chapter outside of Los Angeles and served six years as a chapter officer and Association Director. Joyce worked closely with four ASP presidents, providing each with strategic visioning and effective execution of multiple initiatives, and is especially proud of her recommendation at the 2003 Board Strategy session of "Think, Plan, Act" as the mantra for ASP. Joyce launched and led the original ASP Chapter Council and was critical to developing the Master Chapter Constitution Template required by ASP By-laws. Joyce helped ASP expand the usage of the online ASP Collaboration Center (ASPCC) from a virtual platform for just the NorCal Board to one used regularly by the ASP Board and at the discretion of chapters/committees. She facilitated a seamless transition of this donated platform, providing administrative support as needed, and is one of the original Strategic Management Professional Pioneers. In 2009 Joyce received both the ASP Outstanding Service and Distinguished Service Awards. As Managing Director of GEO Group Strategic Services, Joyce's expertise is in designing and facilitating virtual methodology to accelerate innovation and growth. Dr Crain was a Co-founder and the Association's first President from 1999-2004. He was the first President of ASP after it incorporated as a national organization. In addition, David has served for many years as a professor of strategic planning, and has trained many strategic planners who now make major contributions to the profession. Among his many contributions, Dr. Crain was also instrumental in the creation of ASP's Corporate Membership and benefits associated this area of membership. David's superior and sustained leadership set the Association on the path to success. He was the guiding light and stabilizing force that provided the consistent, professional leadership needed by the fledgling Association as it evolved from a local into a national organization. As the first President of the national Association, David set the standard for others to follow. Jim has served as ASP Treasurer, President and Immediate Vice President. In these roles, his professional competence and excellent leadership skills consistently provided strong guidance for our rapidly growing and changing organization. Jim's contributions changed ASP from a regional to a national organization. In his service, he has continually steered the organization toward success. Jim has held true to his vision of ASP as a strong unified organization focused on supporting its members. During his career, he has been a corporate strategic planner and effective strategic planning consultant, and has mentored many others in the art of successful strategic planning. Dr. Stan Abraham was a founding member of the ASP in 1999, and served as its president for several years. He led the Los Angeles Chapter when it was created as a chapter of ASP. Dr. Abraham organized the first ASP Annual Conference, and was extensively involved with subsequent conferences in roles as session speaker coordinator, best paper selection, and keynote speaker selection. He has orchestrated student attendance at many ASP events and conferences, and has written numerous articles about ASP in professional journals. Dr. Abraham also led the Richard Goodman selection committee. Dr. Abraham's many contributions to ASP put him in the first ranks for selection to the ASP Hall of Fame. Without his many sustained and highly professional efforts, ASP would not be an effective professional association that it is today. The late Mr. Alpert was a Co-founder of ASP and served as Secretary from 1999-2004. His enthusiasm and vision for the organization, as well as attention to detail produced a solid organizational structure and paved the way for development of other key areas including membership, programming and marketing. Mr. Alpert was active in predecessor strategy organizations and worked in a strategic role in the aerospace industry for many years. When he retired, he continued to do strategic consulting work for numerous clients throughout Southern California. Mr. Alpert passed away in June 2004 and a scholarship in his honor was established. Nomination: Any ASP member may nominate an ASP member in good standing. Selection: All current and former ASP Board members, who are still ASP members, vote; winners must be named on at least 70% of the ballots. Note: Awards may have multiple honorees, depending on the voting.